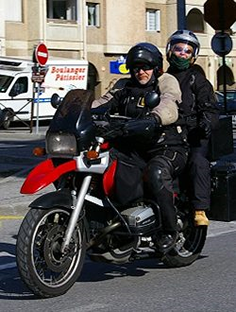 At Right To Ride we believe that this joint statement from the European & UK Branches of IAATI (International Association of Auto Theft Investigators) might be of interest to Irish riders and indeed for riders across Europe. The statement is in relation to the refusal of the Irish Police to release data on all stolen vehicles which would include motorcycles. What this would appear to mean is that police forces across Europe who are fighting against Organised Vehicle Crime and against the International Trafficking of Stolen Vehicle when accessing various data bases, such as Interpol Stolen Motor Vehicle Database have no records of stolen Irish vehicles. So if an Irish motorcycle is suspected of being stolen and has been seized or is being checked outside Ireland, then the police in that country have no data available to say if the vehicle is stolen or not. Therefore there would not be a process to get that vehicle back to its rightful owner or prosecute the thieves, either in that country or to get to the root of vehicle theft in Ireland. Also it would seem that “civilian” databases such as the HPI Checks and the Experian Car Data Checks that operate in the UK will be missing vital information for unsuspecting motorcyclists. We all like our data kept safe and sound and out of the hands of those that shouldn’t have it. According to IAATI UK and the IAATI European Branch this is not an issue, “Contrary to what has been stated there are no Data Protection issues as the only data that is released is vehicle data”, so there is no issue with personal data. Joint Statement of the European & UK Branches of IAATI on the refusal of the Irish Police to release data on Stolen Vehicles. IAATI has been well aware of the issue of The Republic of Ireland’s stolen vehicle data not being made available. IAATI considers this a major issue in the fight against Organised Vehicle Crime and the fight against the International Trafficking of Stolen Vehicles and is something that should be changed without delay. All other European Nations and most of the rest of the World release their stolen vehicle data to be uploaded on to the Interpol Stolen Motor Vehicle Database. This database is accessible by any Interpol office worldwide to search any suspect vehicle instantly 24hrs a day 7 days a week. 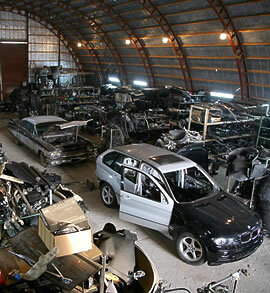 The Interpol system enables tens of thousands of stolen vehicles to be identified, seized and recovered each year. With the current situation any Interpol office carrying out a search on an Irish stolen vehicle would get a negative result. That Interpol office would consider the vehicle to be clear of any theft marker and allow it to continue to circulate in whatever country it was checked. In addition there are numerous systems, similar to the HPI Checks and the Experian Car Data Checks that operate in the UK. Some European Police Forces even operate their own website which enables a vehicle registration or VIN (Chassis Number) to be checked for stolen markers by any member of the Public. A positive search directs the party making the enquiry to the relevant Police Station. Contrary to what has been stated there are no Data Protection issues as the only data that is released is vehicle data, which is already accessible from 3rd party systems and the stolen marker. IAATI considers the current Policy operated by the Gardaí to be counterproductive and not in the interest of the public nor the Insurance Industry and would call on the Commissioner to set up a review and to make changes to enable this data to be released to Interpol and the other systems that exist to detect stolen motor vehicles and protect the interests of the motor public.